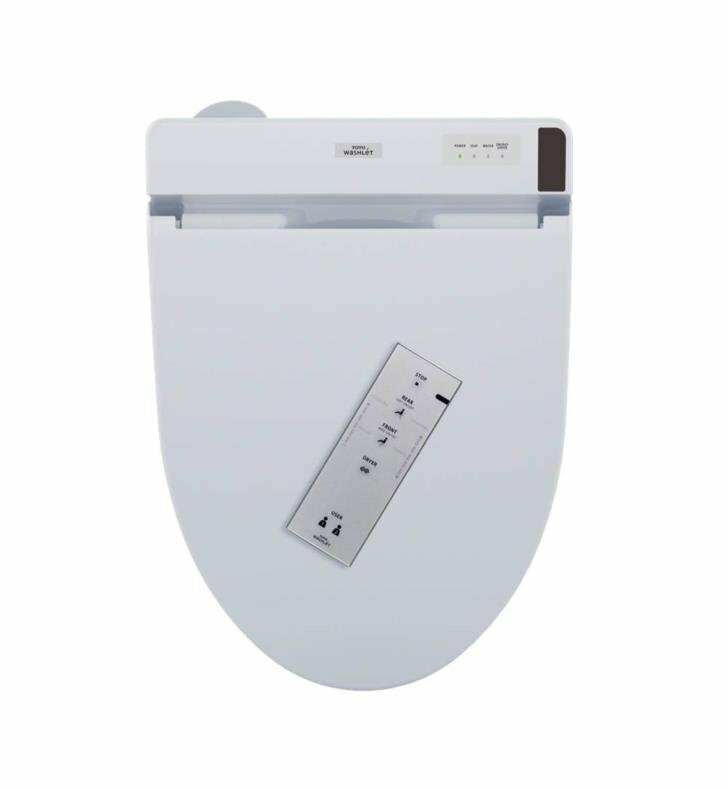 This C200 Elongated Washlet is equipped with Wireless Remote & Concealed Supply Connection. Toilet Seat with Premist delivers ecology-minded luxury in a streamlined design. The Washlet C200 is fully automated, featuring a soft rear spray, rear cleanse, and front cleanse with the option of an oscillating or pulsating stream. The controls are located on a slim, wireless remote. The wand is self-cleaning, automatically cleaning itself before and after every use. Using a Washlet reduces the amount of toilet paper needed. Medical conditions such as ALS, MS and other debilitating illnesses can make using the bathroom without assistance almost impossible, but with a Washlet, just the touch of a button can leave you feeling clean. W 15 3/8" x L 20 7/8" x H 7 3/8"